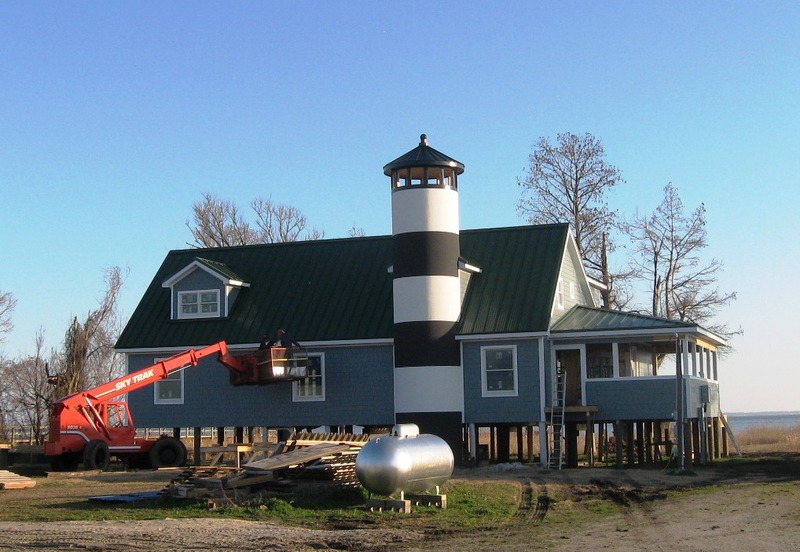 Following months of extensive demolition work, framing, siding, roofing, stucco, window installation, exterior trim work, and fighting off mosquitoes, black flies, and the occasional flock of geese, the crowning element of the “lighthouse” on the front facade of the lodge has been placed. Although exterior work is not complete, this marks a highlight in the process and now finish work will begin in earnest on the interior of the home. Wood finishes including many reclaimed beams, mahogany, and heart pine will serve to accent the open living area, kitchen, study, and bedrooms of the home. Please continue following the blog for frequent updates. 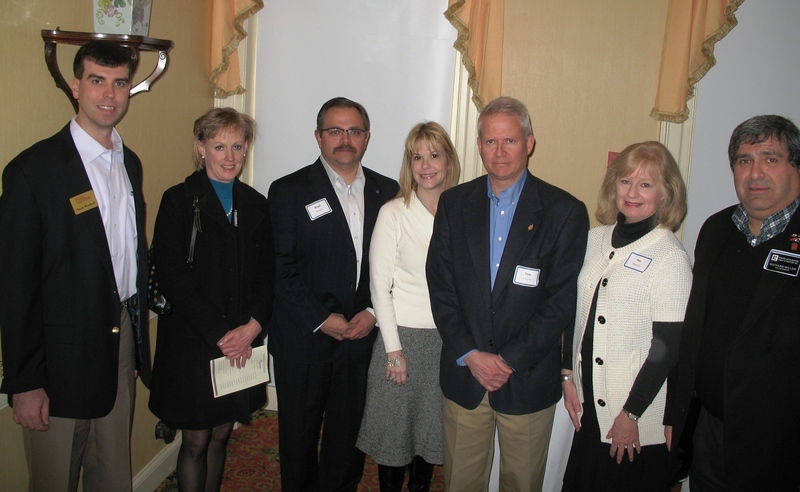 Hayes Wauford (far left), Vice-President of Operations for Wilson-Covington and Broker in Charge was recently named to serve as a Director for the Property Management Division of The Winston-Salem Regional Association of REALTORS, Inc. Hayes has been a licensed NC Real Estate Broker and REALTOR® for 4 years. 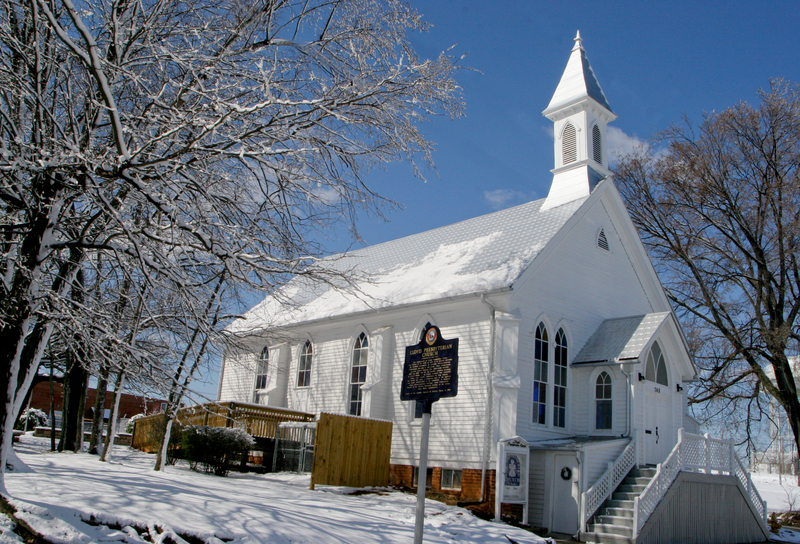 Wilson-Covington currently manages over 500 multi-family units and single family residences. Our service management division performs maintenance and construction work for numerous property managers in the Triad to include over 3,500 units served. Wilson-Covington has recently completed the tenant upfit work for Quick Test at Hanes Mall in Winston-Salem, NC. This included all new interior finishes, plumbing, electrical, and mechanical work. The timely completion of this project allowed Quick Test to open prior to their busy holiday season. Hope your 2012 is a happy and prosperous one.